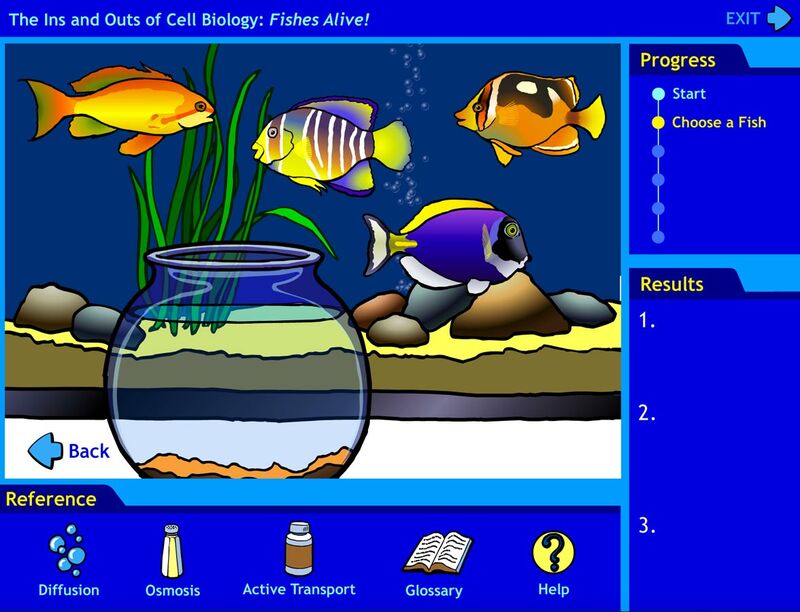 Fishes Alive was a collaborative graduate school project. The assignment was to create an interactive educational program of some sort. Our group chose to create a piece that would teach 7th grade students about cellular transport (diffusion, osmosis, & active transport). Our content expert was Jennifer Brophy (a 7th grade science teacher). Rogene Schnell was our Flash programmer and also a content advisor (she's a biologist). Jill Shepherd was the project manager. I was the team designer & illustrator, and I contributed some Flash animation and a little programming too. To see the piece in action, click on the link below. Note that you will need a Flash player to see it (so you can't view it on an iPhone nor iPad).